Unfortunately, the great majority of our patients visit us after seeing a minimum of three to four other doctors. It is not uncommon that they admit to a disease process that has lasted several decades. The antibiotic taken by these patients can be measured in years rather than days or weeks. In addition, most of them will admit to undergoing several non-antibiotic therapy regimens including prostatic massage therapy, anti-inflammatory agent therapy, having taking muscle relaxants, hormone therapies, or a variety of herbal remedies. A number of patients have had perineal or pelvic floor massages, nerve blockage, biofeedback, acupuncture, or psychological support. I have had patients who have undergone balloon dilatation therapy, minimal invasive surgery (transurethral ablation), partial prostatectomy, or complete prostatectomy. In general, treating chronic prostatitis follows the same protocol as outlined above for acute cases. Intravenous antibiotics however are rarely used and the therapy relies heavily on a protracted series of intraprostatic injections. The patient undergoes the same microbial evaluation as the acute prostatitis patient does. The basic therapy follows a four-week course of biweekly injections for a total of eight injections. The rationale behind spreading the injections further apart is the assumption that these patients might have bacteria with slower multiplication rates. Dividing bacteria are more susceptible to antibiotics. There are no fixed rules for the total number of injections given and even if culture studies do not reveal suspicious isolates, I make the therapy available empirically to all patients who request it. If Chlamydia is isolated during the first visit, the initial four-week course can be repeated anytime in the future if and when a flare up of symptoms is reported. For Chlamydia positive patients, the addition of steroids (Medrol) seems to improve the therapeutic response. We prefer transrectal to transperineal injections. We find the transperineal injections too cumbersome, by far more discomforting to the patient, and due to the fine caliber of our delivery needle it is inaccurate when targeting specific lesions within the prostate. The length of the disease process. The number of different antibiotics previously used during the disease process. 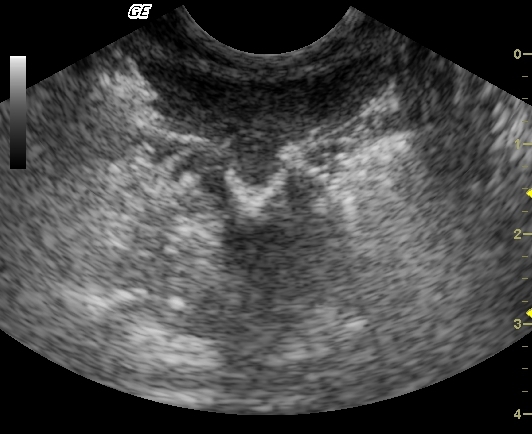 The extent of prostate enlargement and prostate scarring observed through rectal ultrasonography. In contrast to treating the acute phase of prostatitis, chronic cases don’t seem to benefit from added oral therapy regimens, which I do not prescribe routinely. The disease course of chronic prostatitis when it typically follows the biphasic life cycle of Chlamydia needs repeated treatment until the last batch of intracellular Chlamydia reservoirs are exhausted. Special cases are the infertility couples. When the couple report with infertility and the male partner exhibits signs and symptoms of chronic prostatitis, especially with Chlamydia infection, we encourage a combination of intravenous and injection therapy for a faster result. The negative effect of Chlamydia infection on a pregnancy and on the newborn mandates awareness of this infection even after conception has taken place and all through the course of the pregnancy. This is an illustration of the injection process.